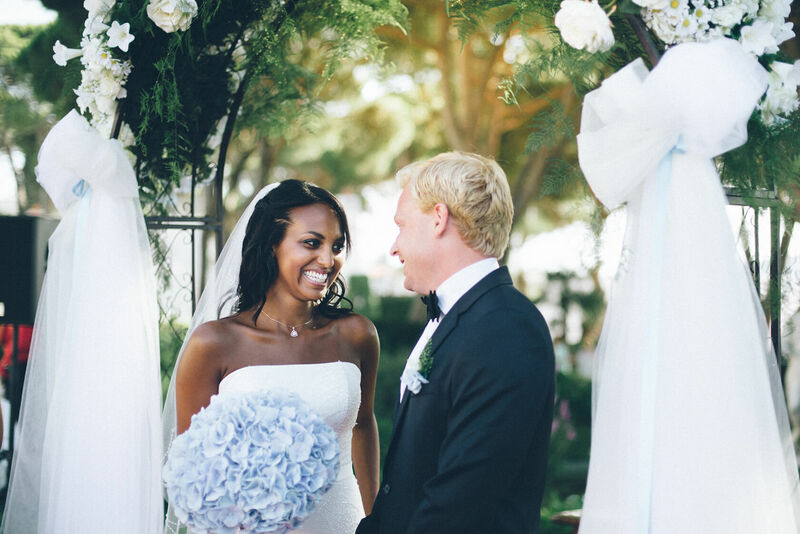 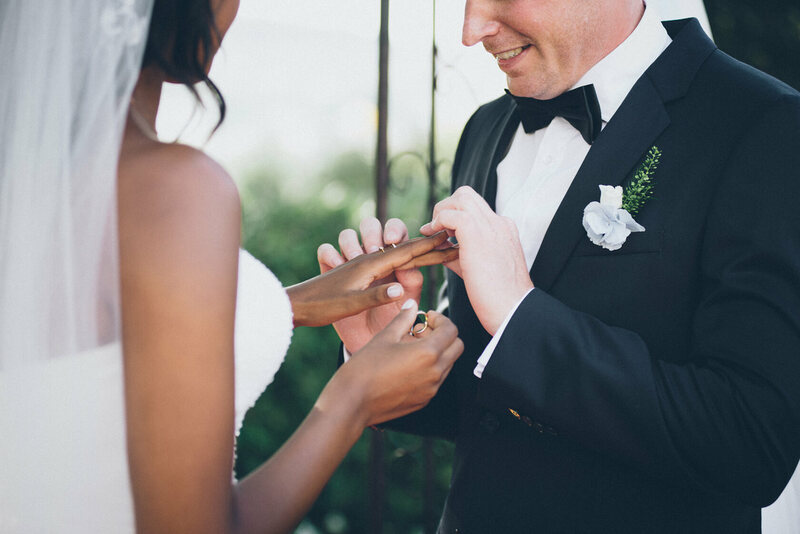 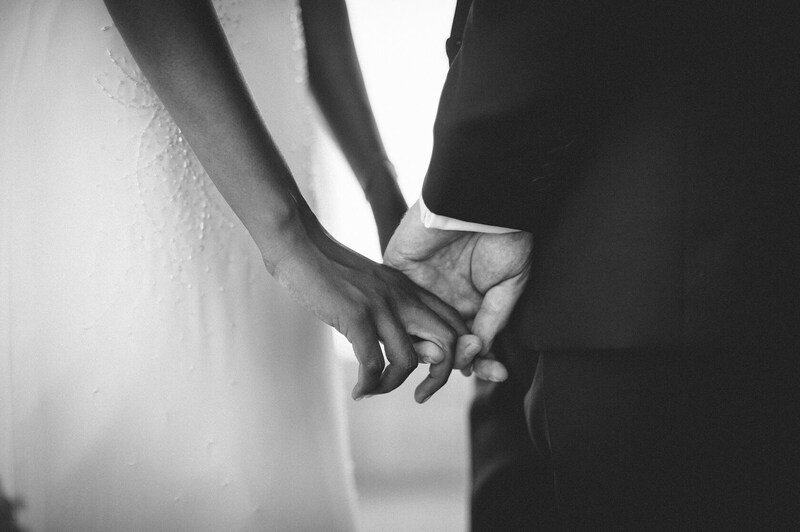 This wedding portfolio takes us back to 2015. 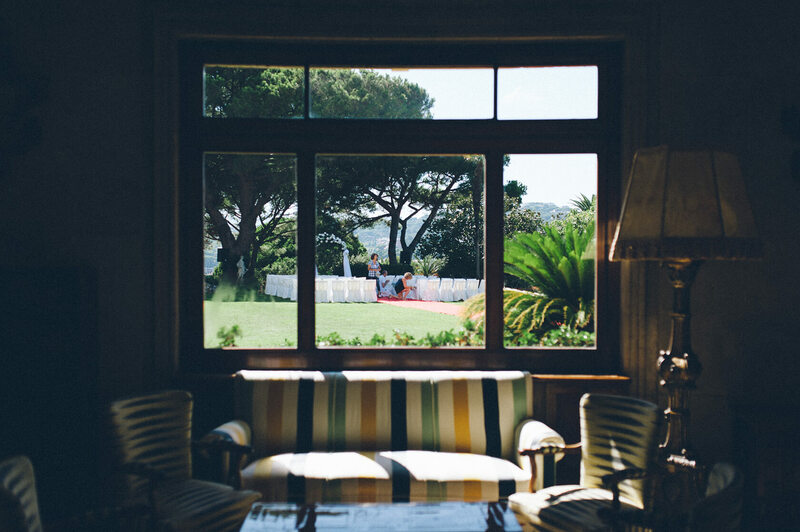 While choosing images for our new site, we wanted to make sure we included examples of amazing beautiful wedding venues in Spain. 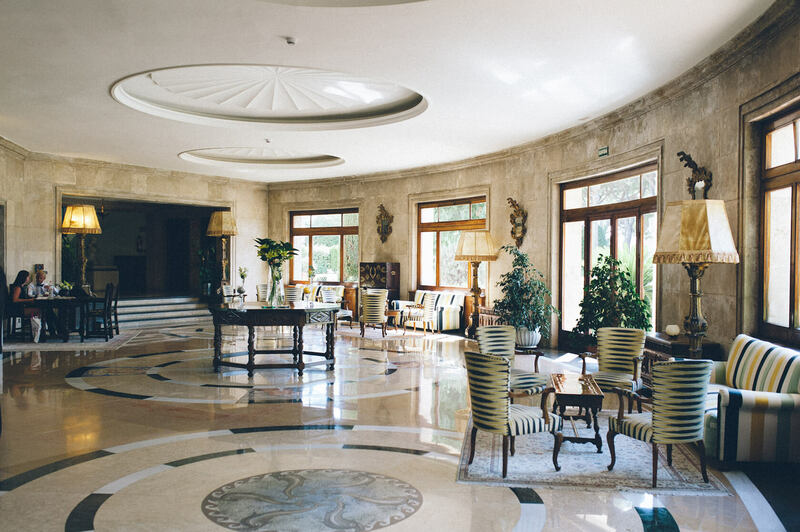 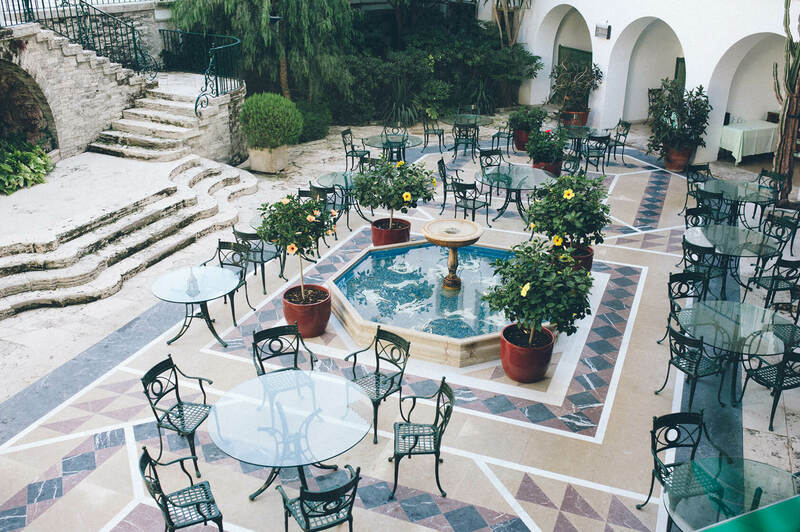 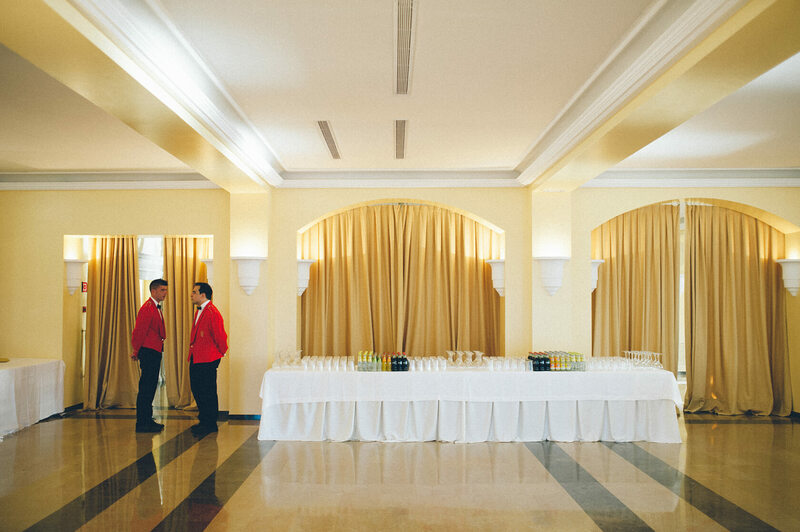 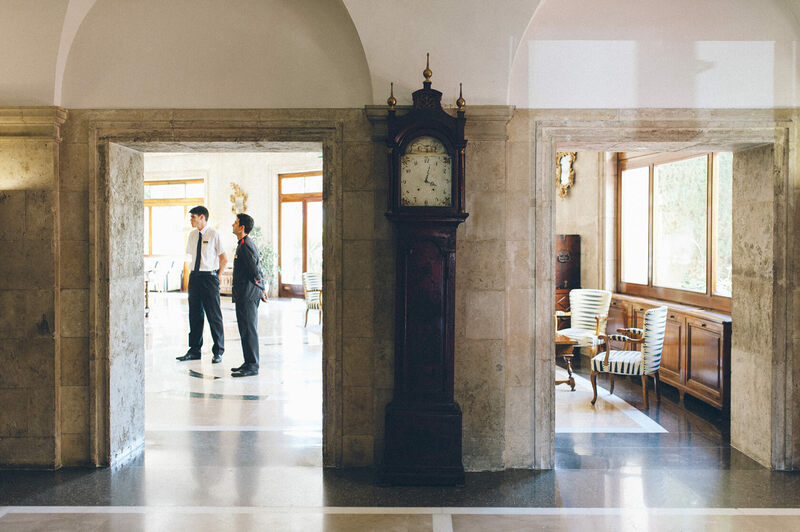 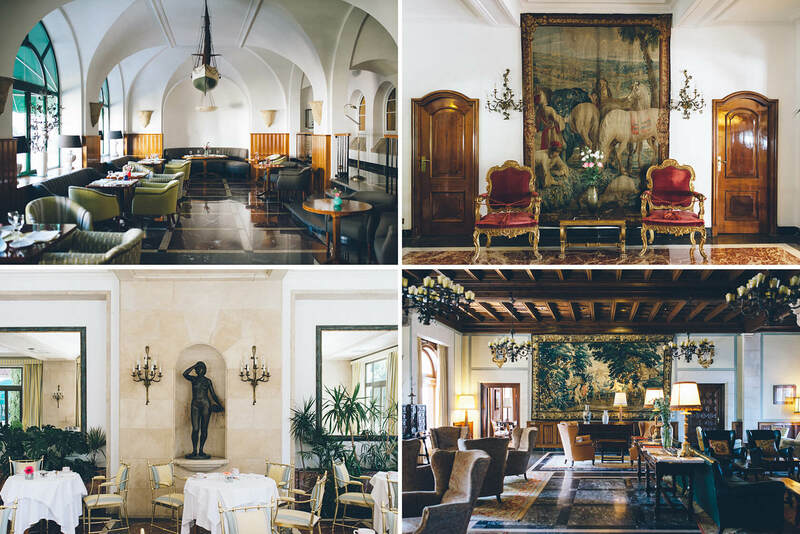 This classical mediterranean five star hotel is surely one of them. 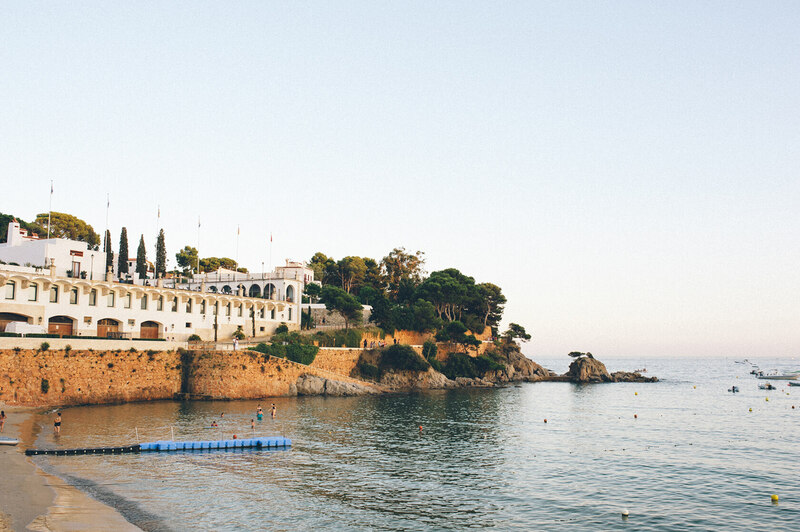 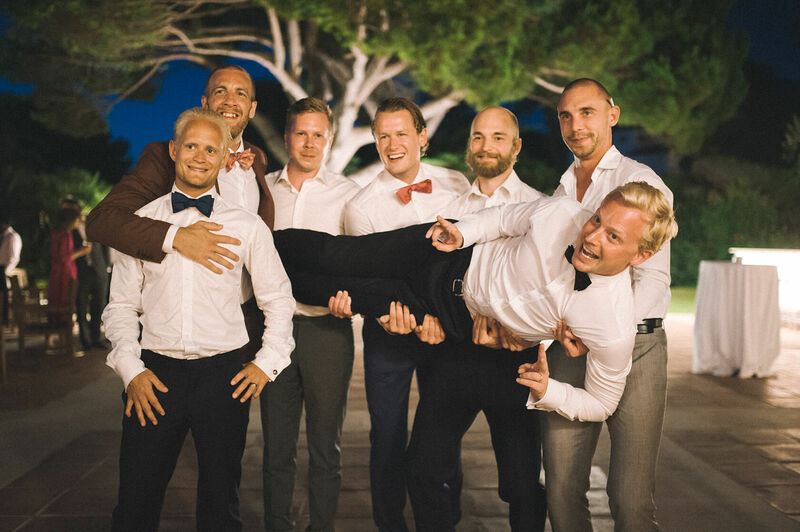 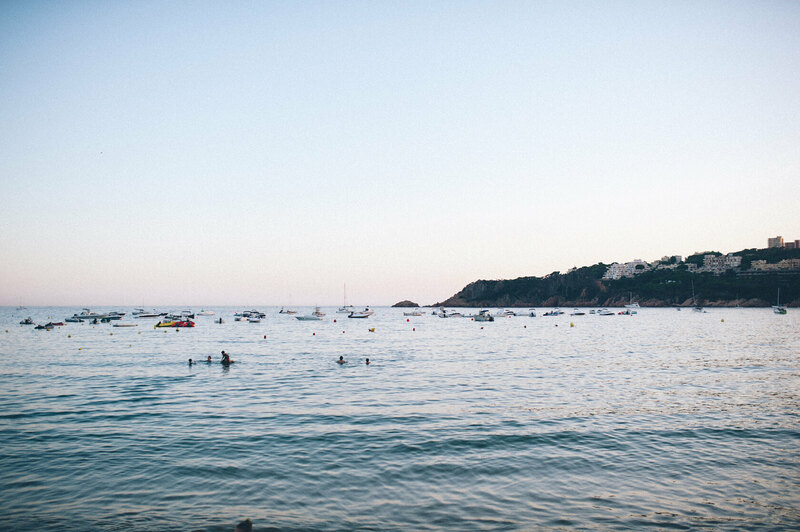 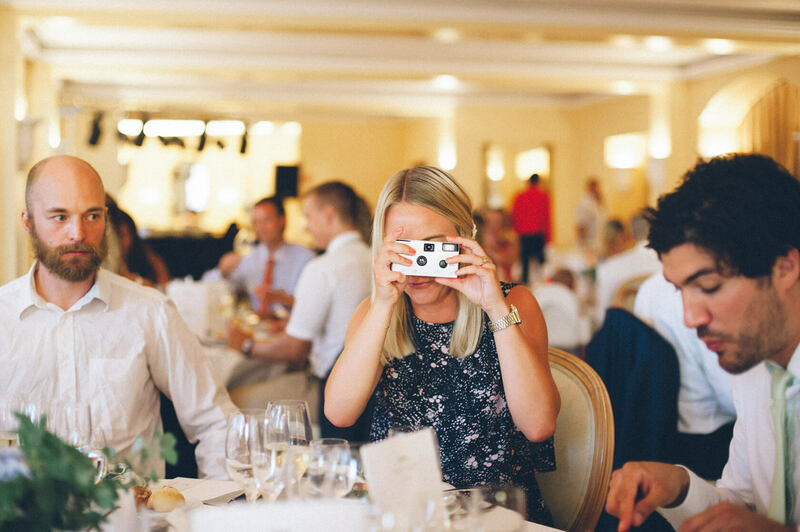 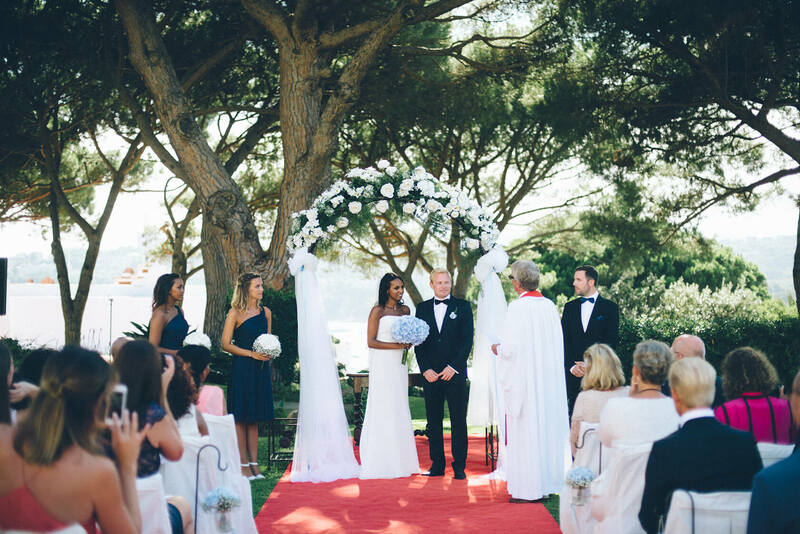 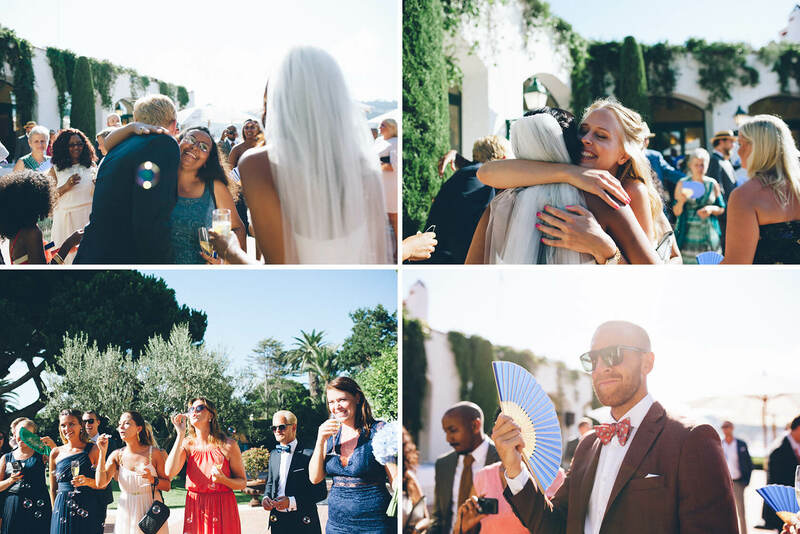 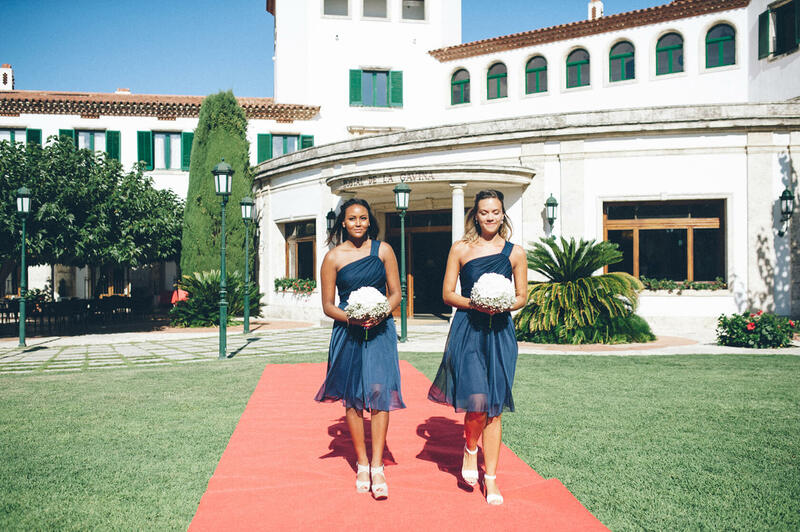 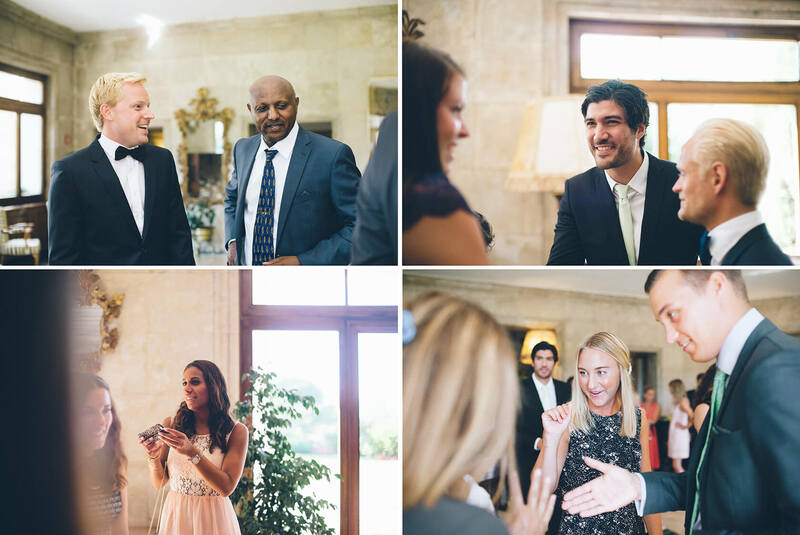 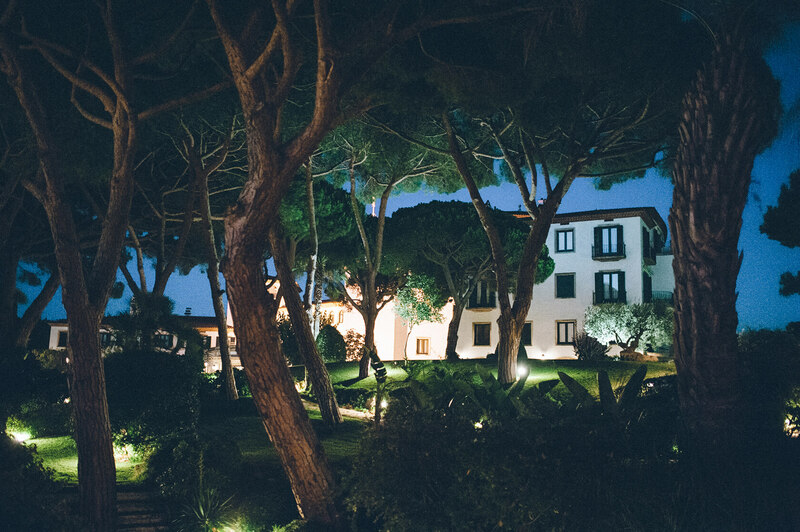 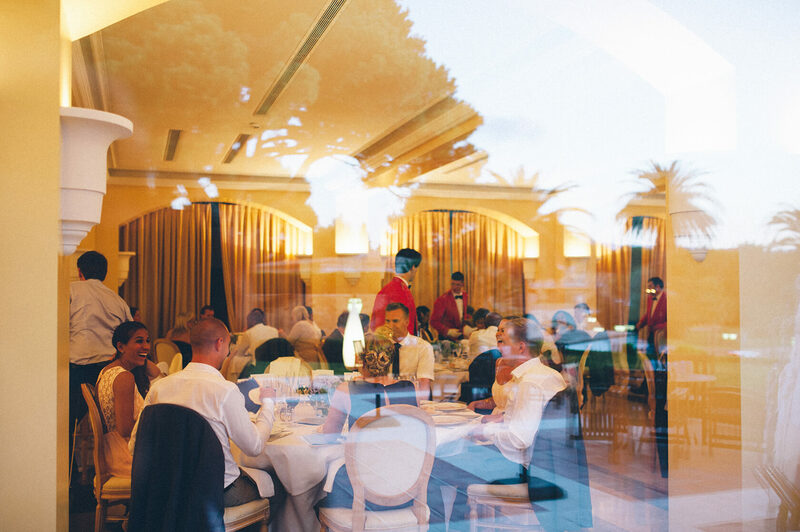 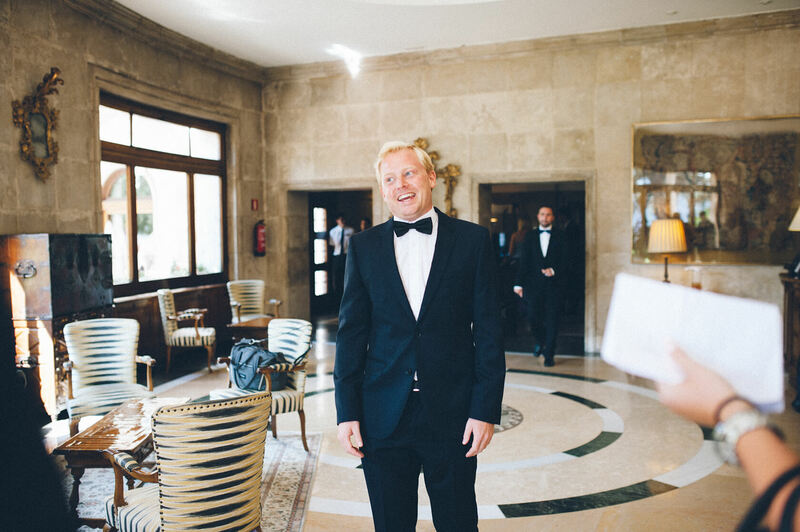 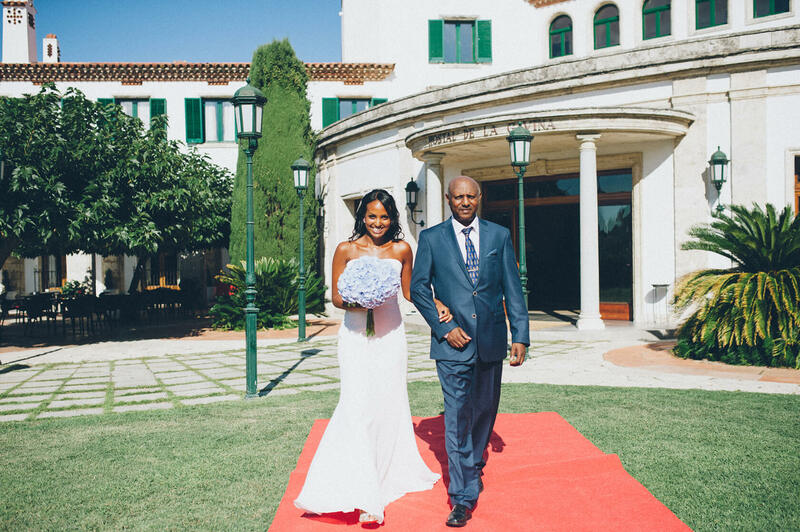 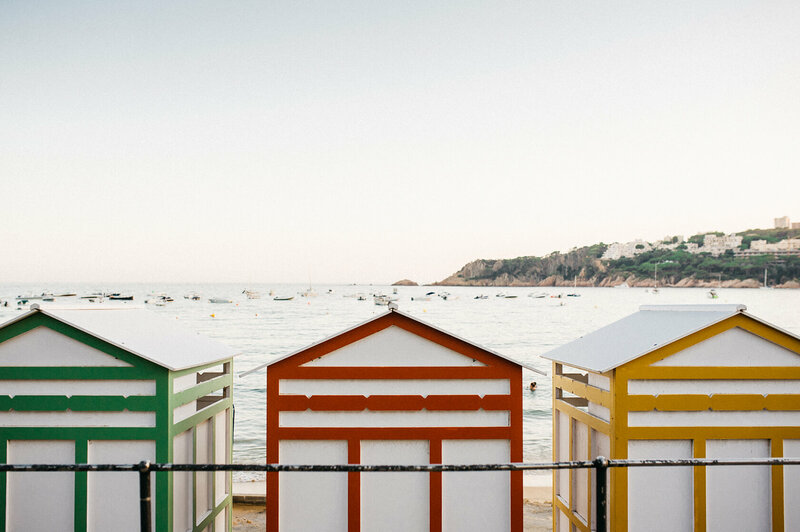 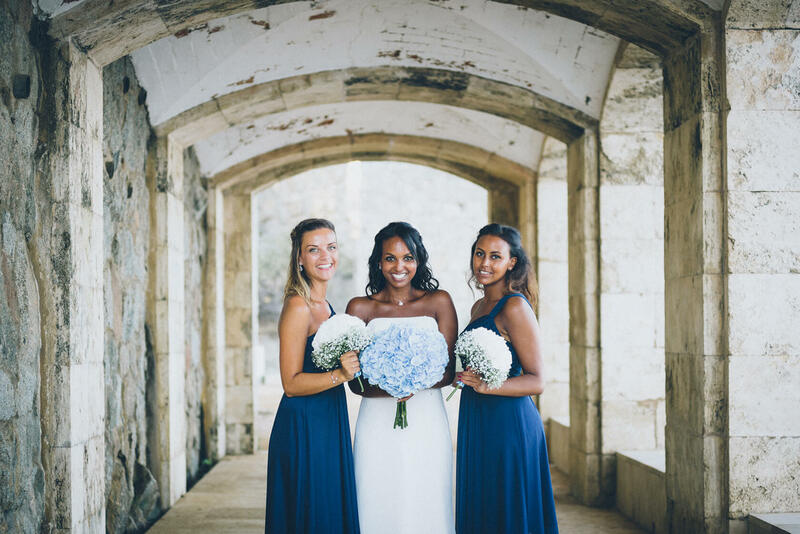 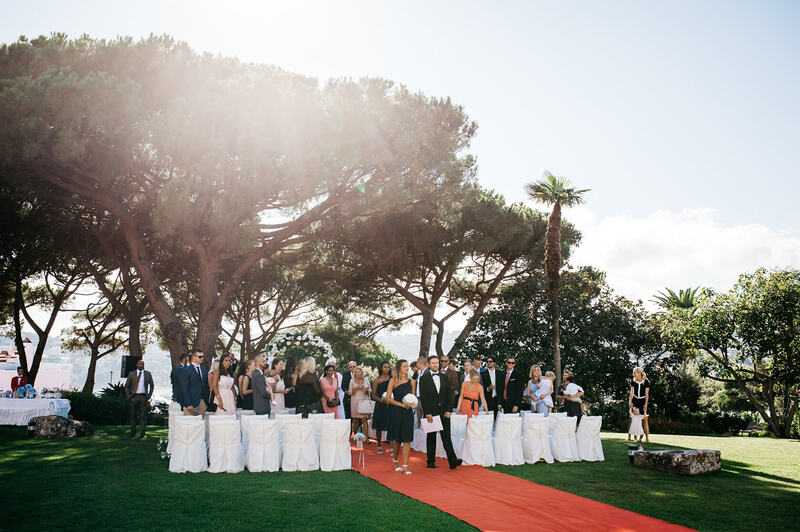 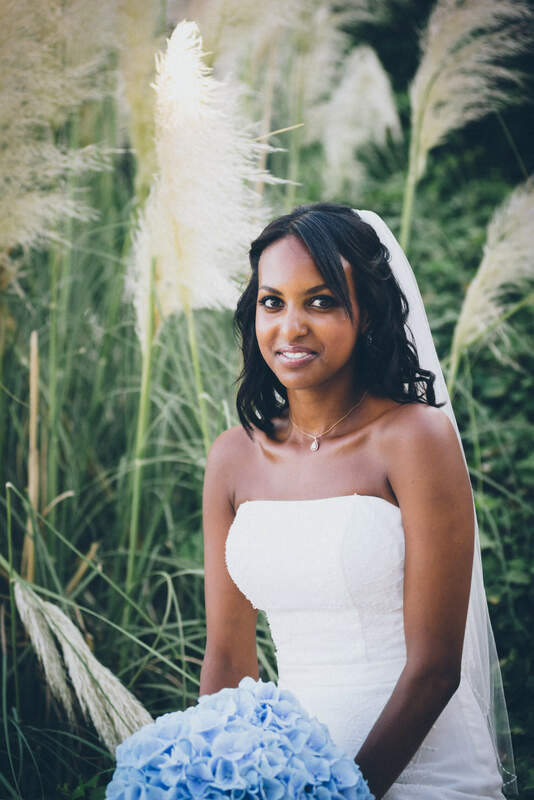 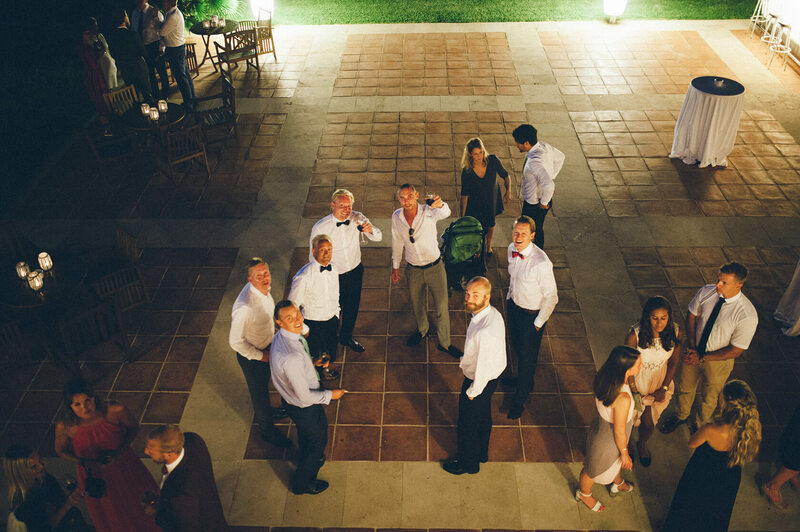 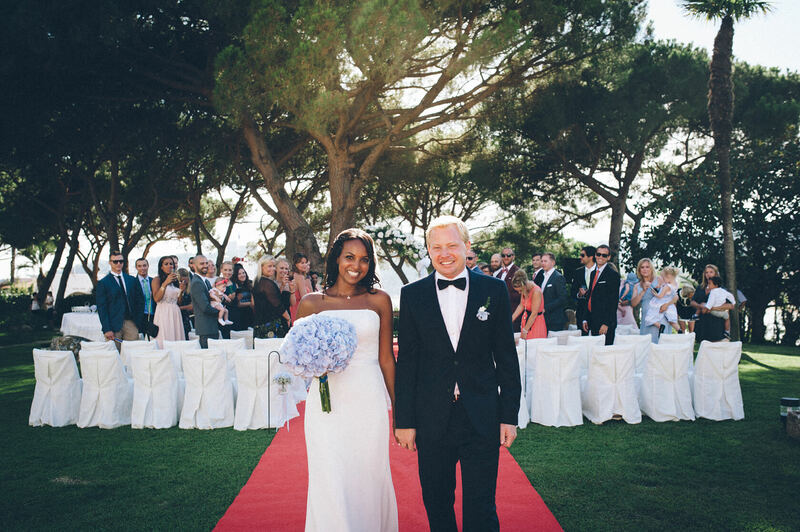 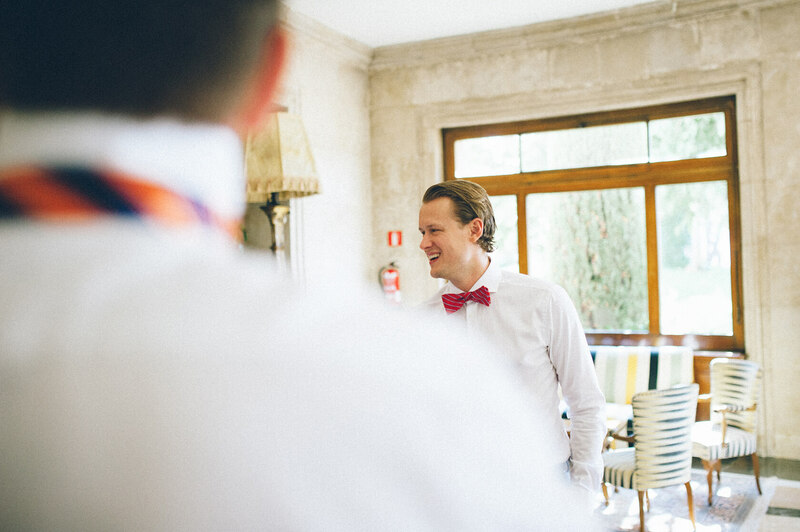 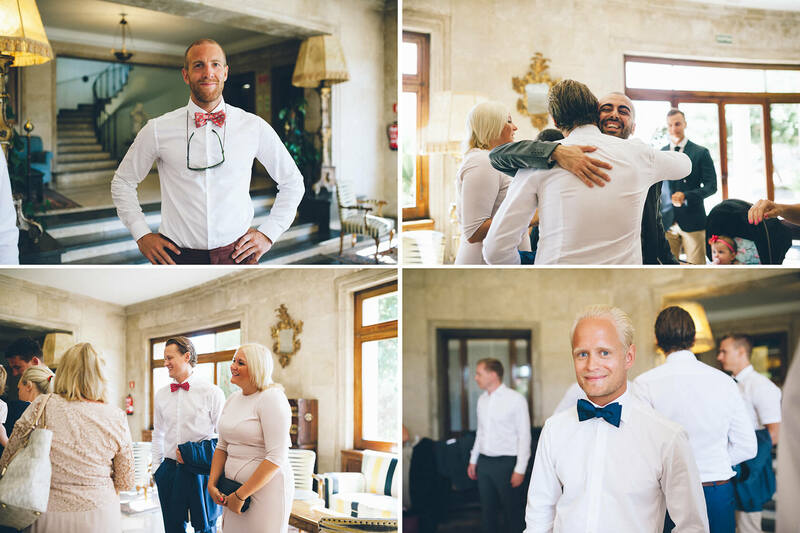 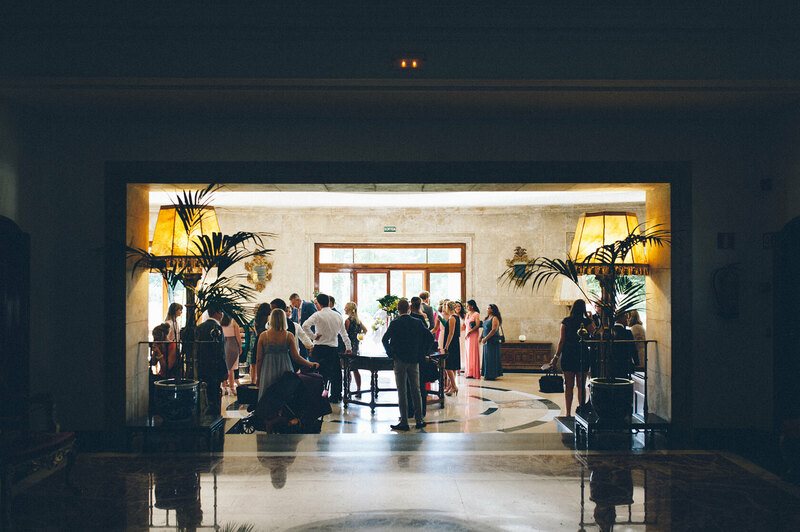 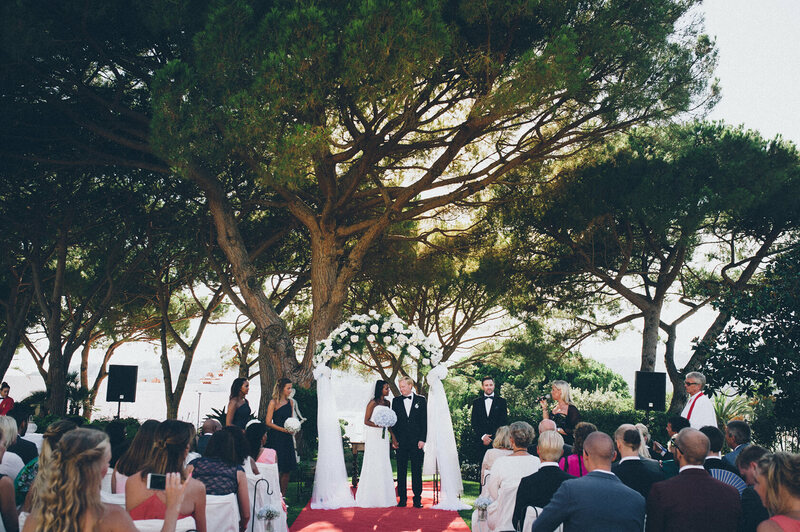 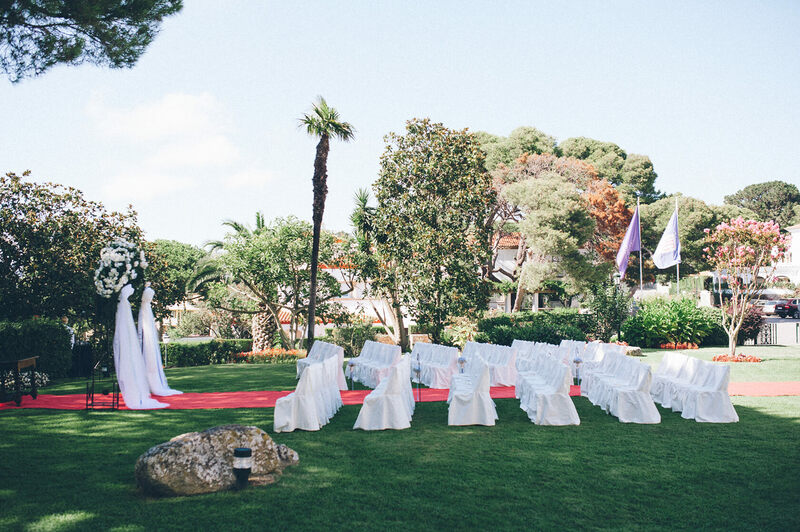 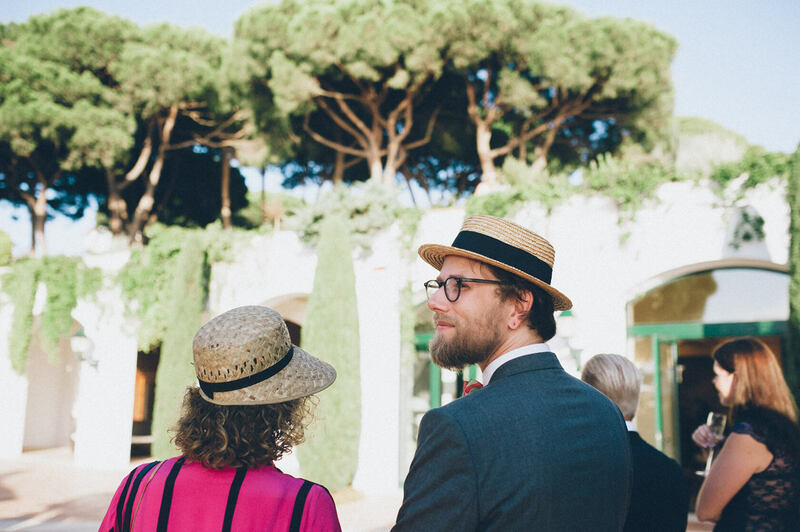 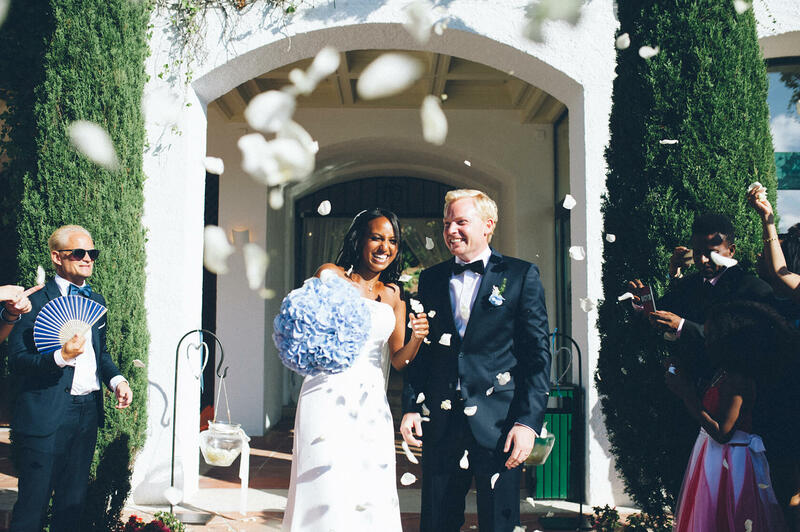 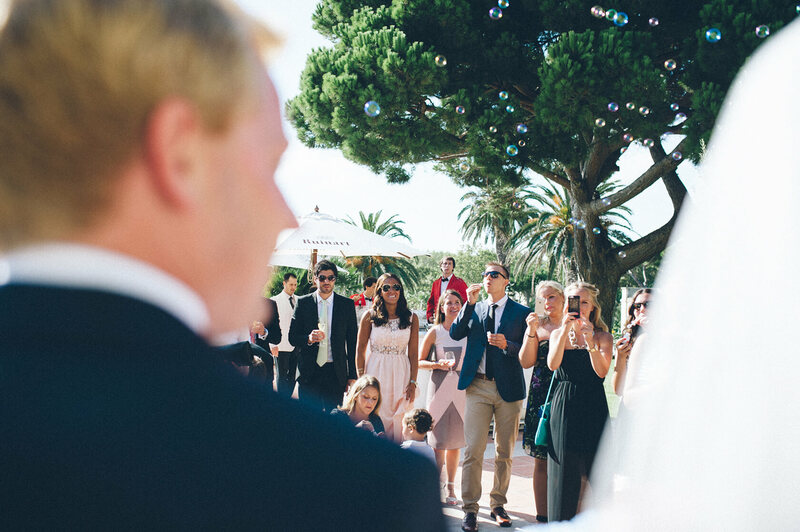 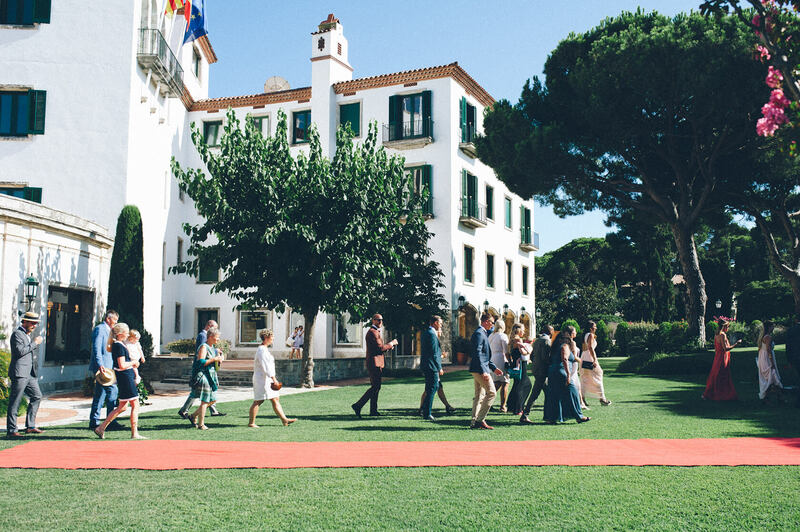 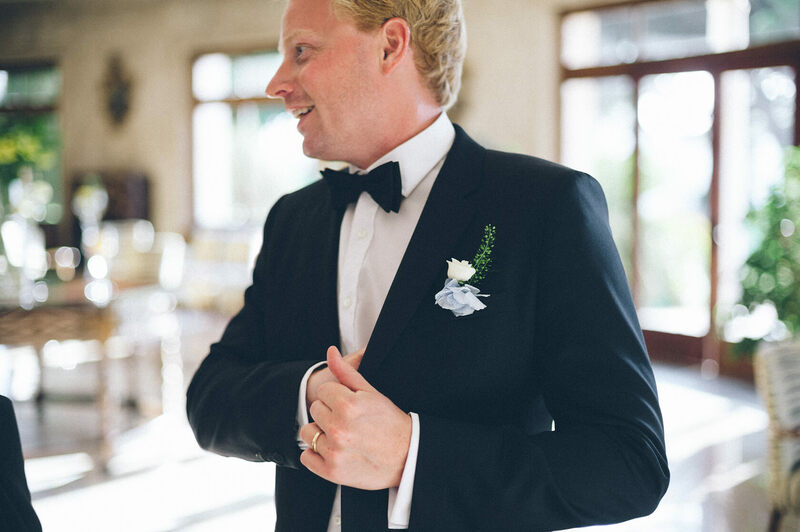 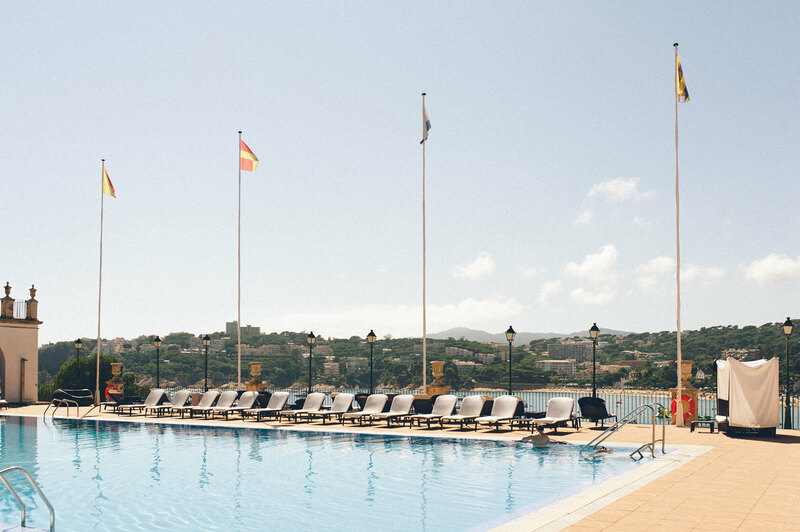 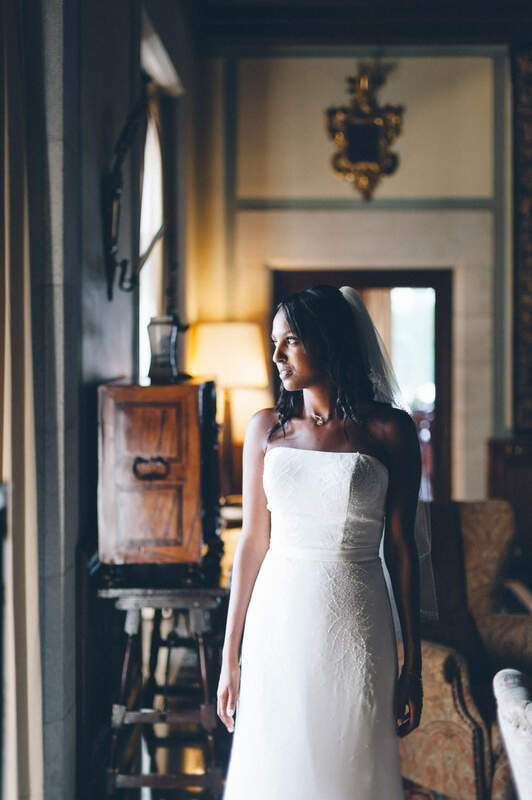 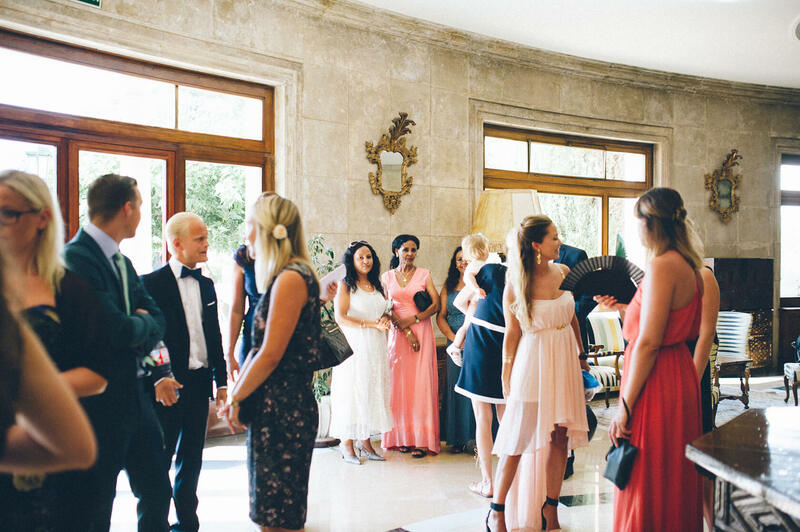 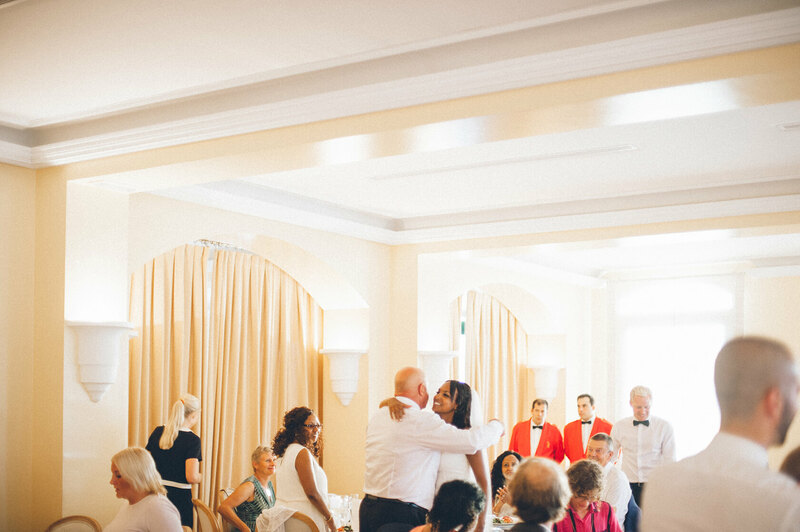 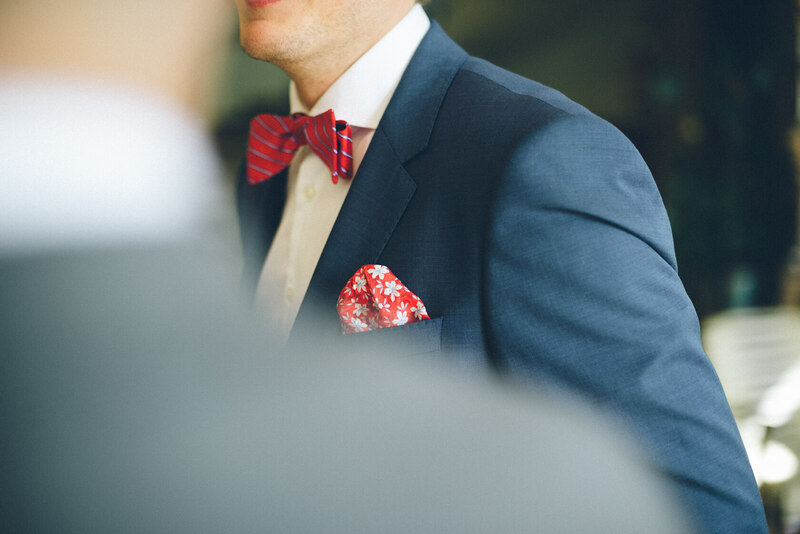 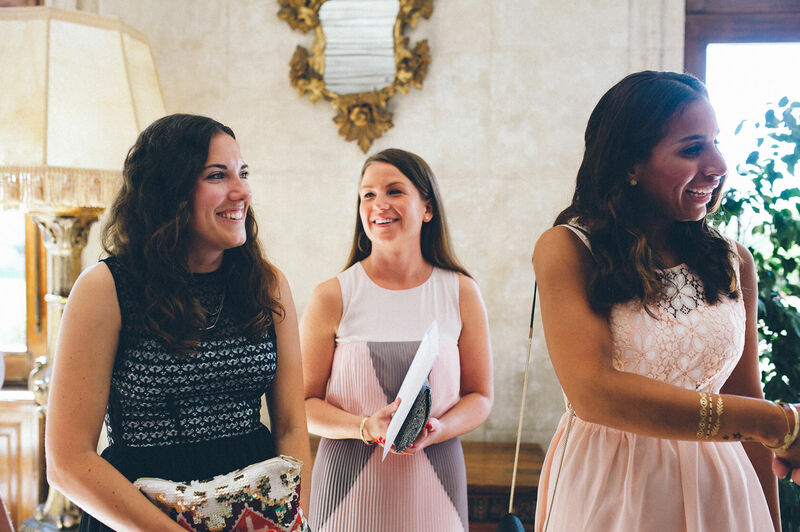 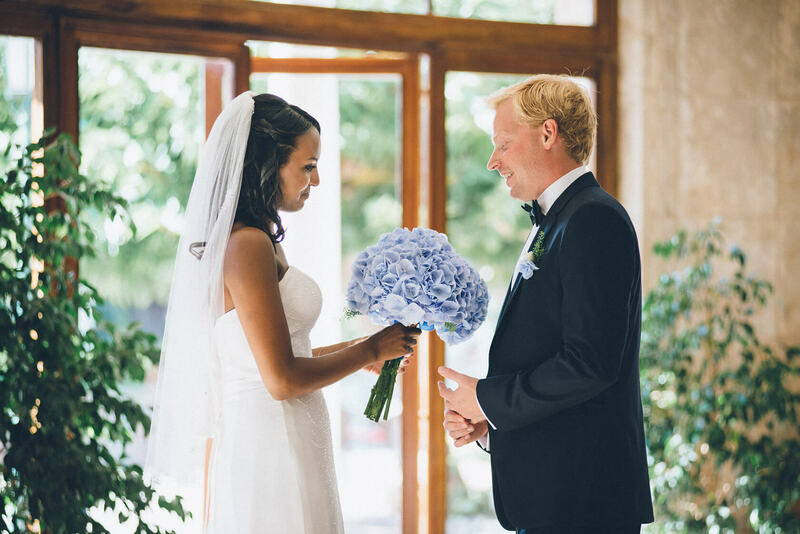 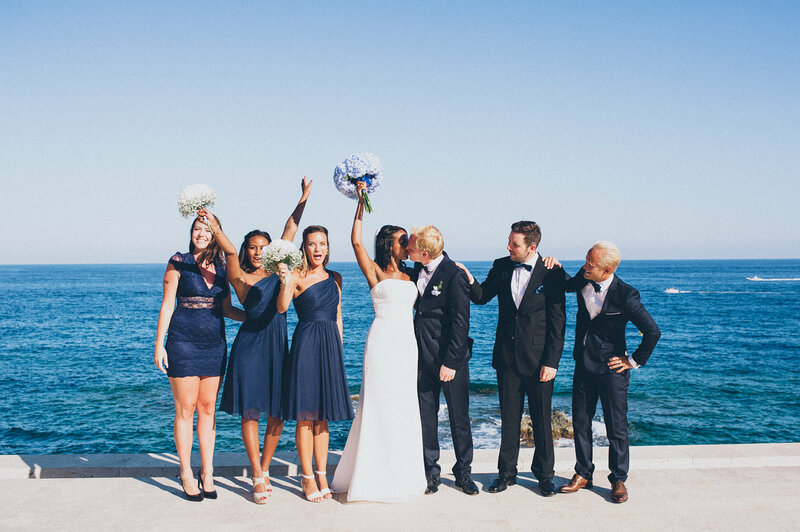 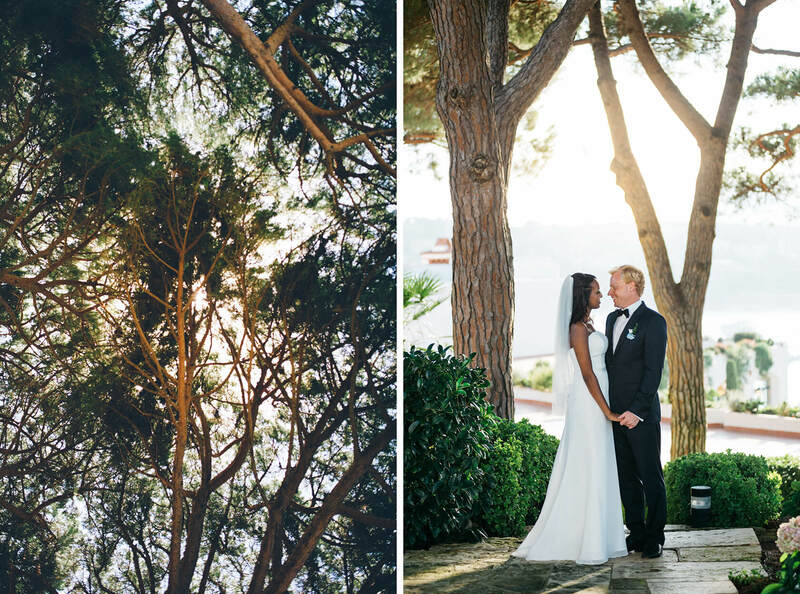 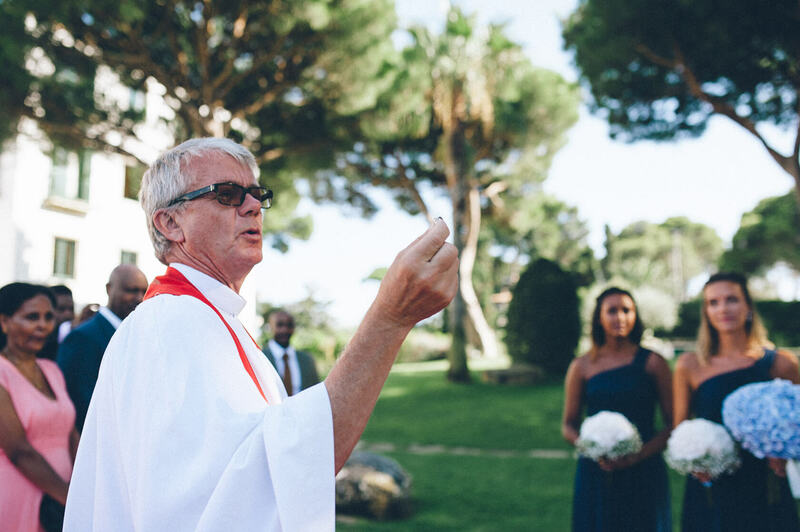 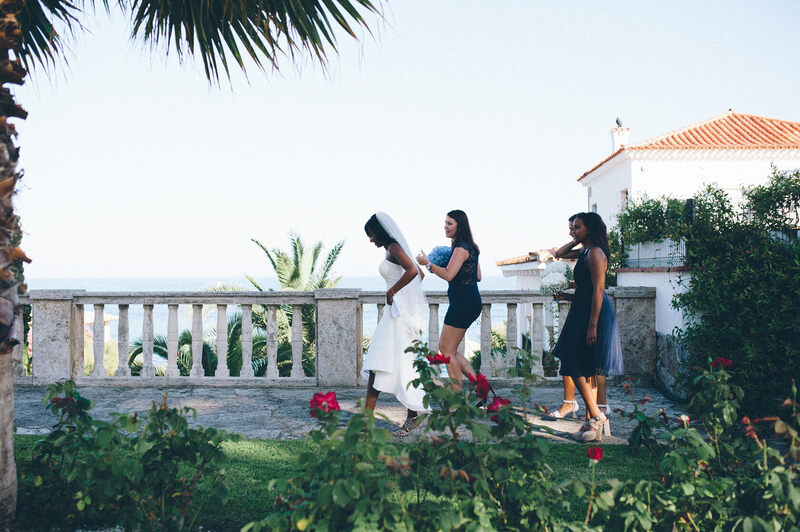 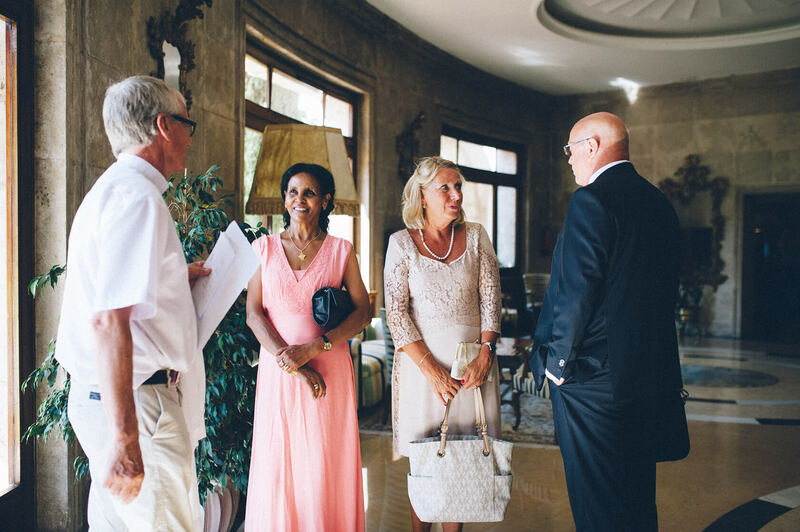 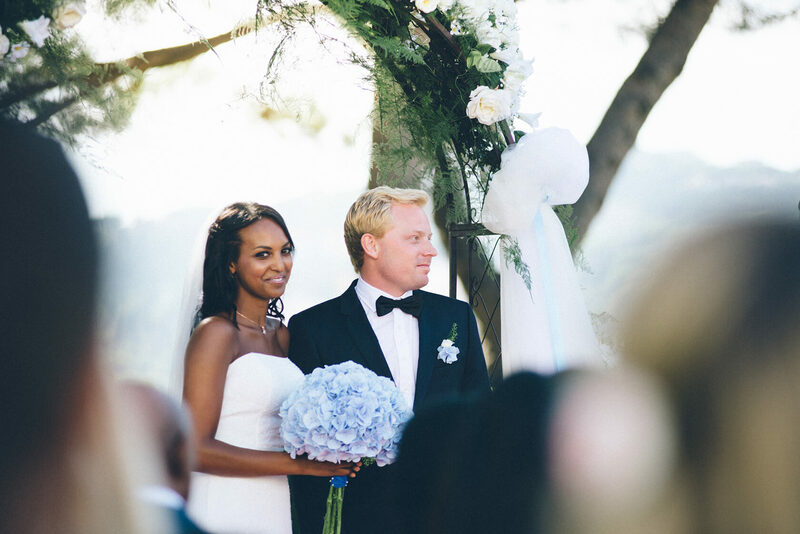 Tsega and Anders chose Costa Brava for their wedding celebration. 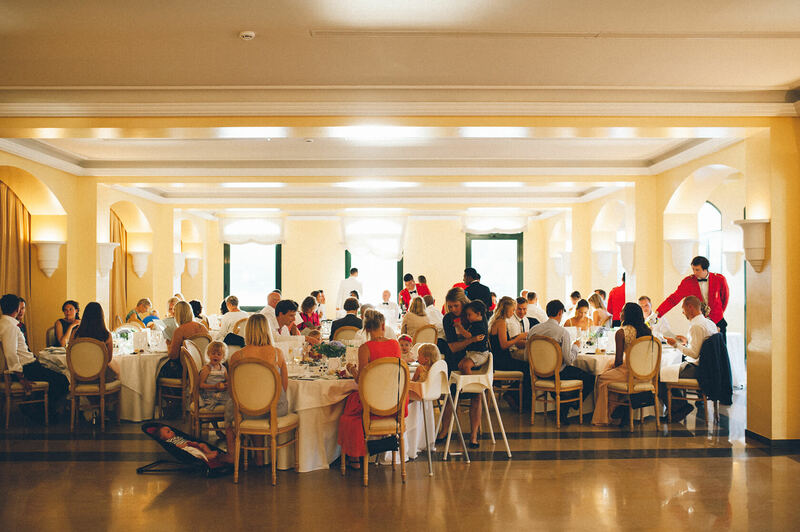 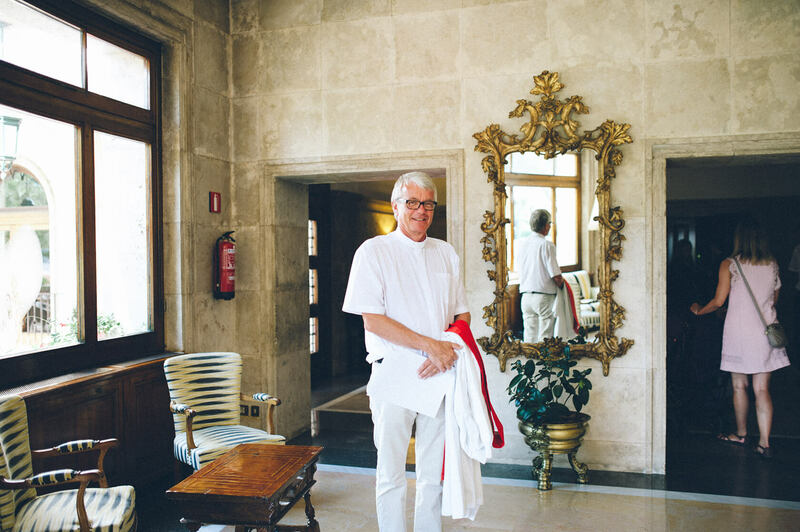 One of the reasons being Anders parents had visited La Gavina Hotel in S’Agaró in previous occasions. 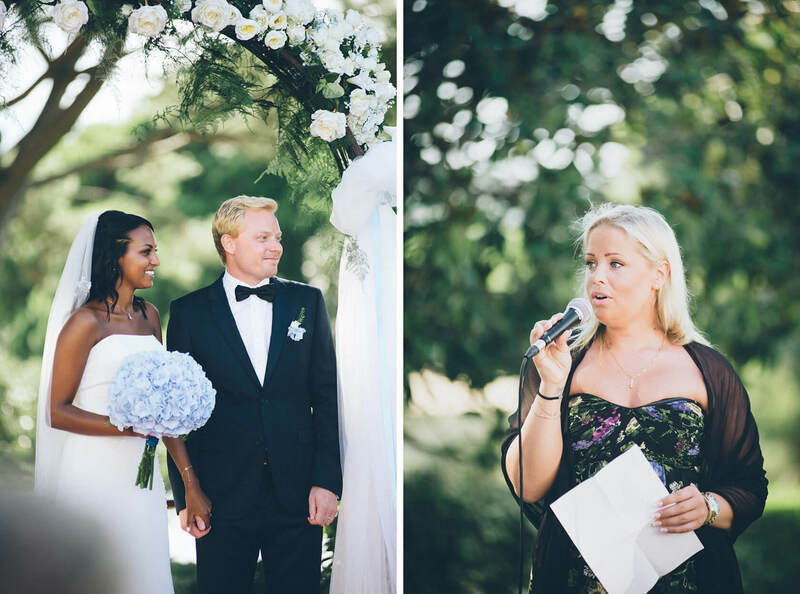 It was clear from the speech, Anders’ dad was very fond of this place and it really meant a lot to the family. 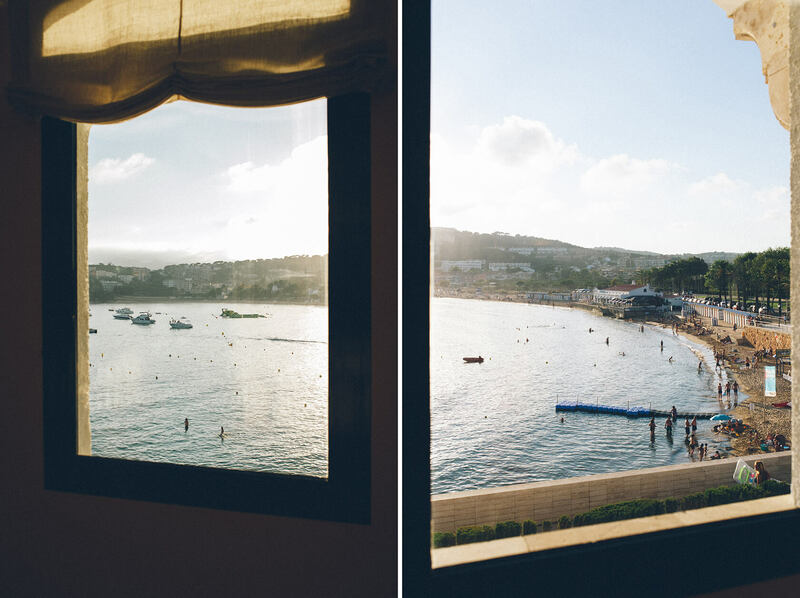 The other reason you can judge by the images below. 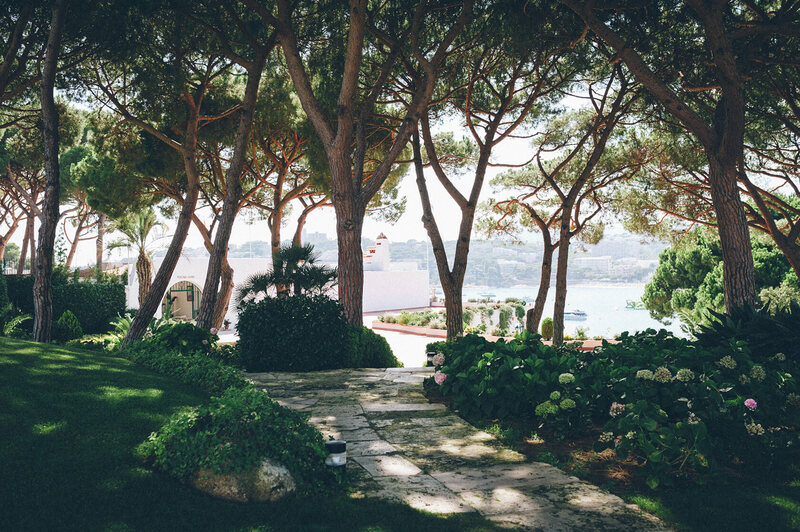 The place is absolutely stunning. 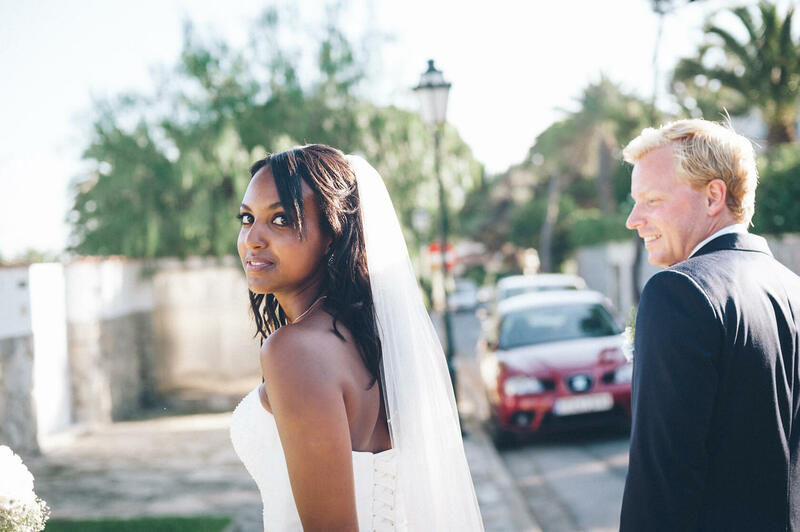 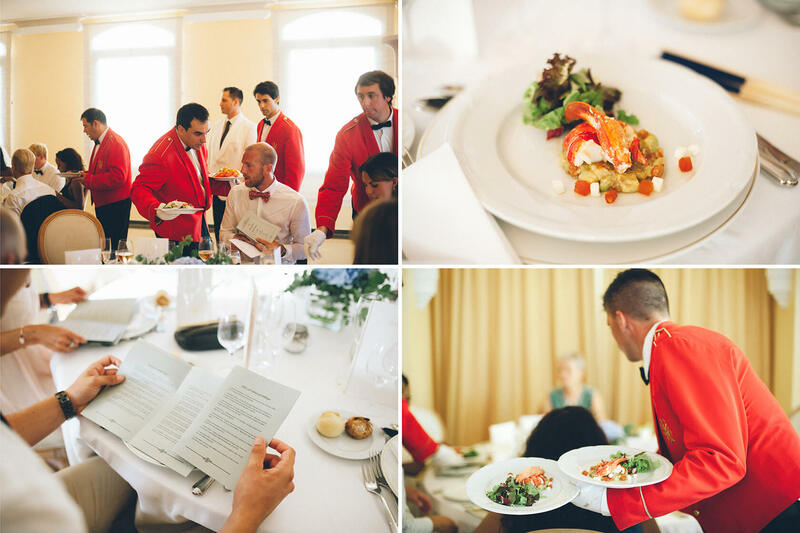 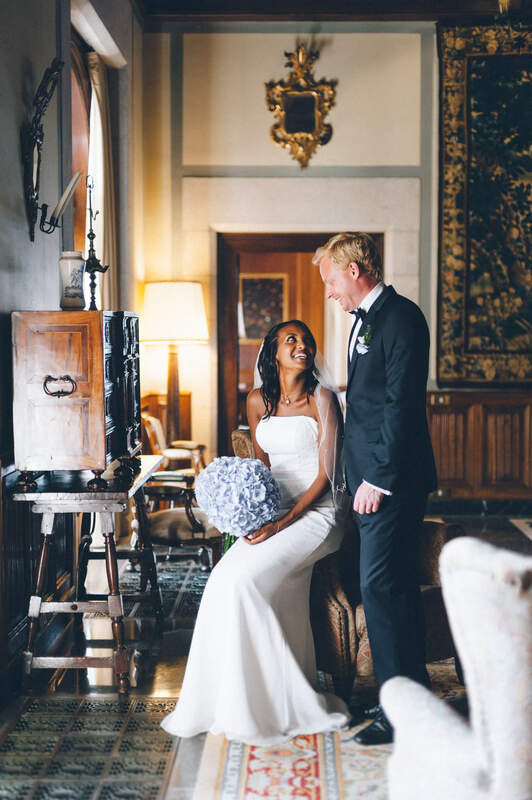 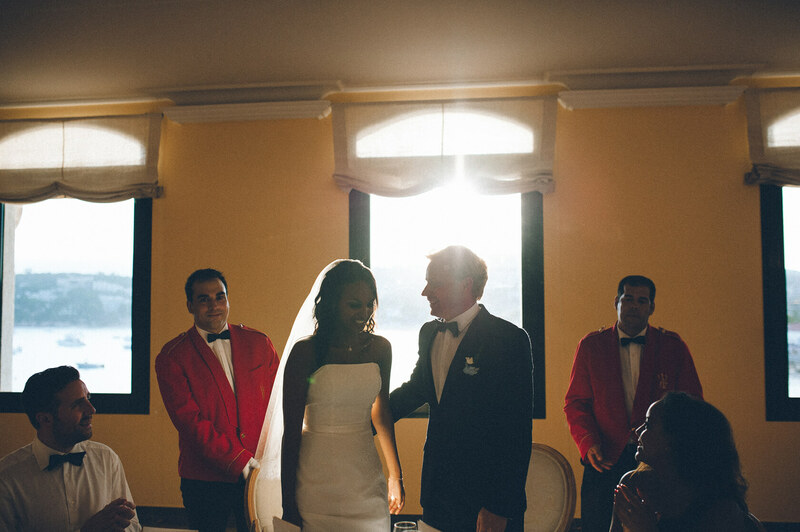 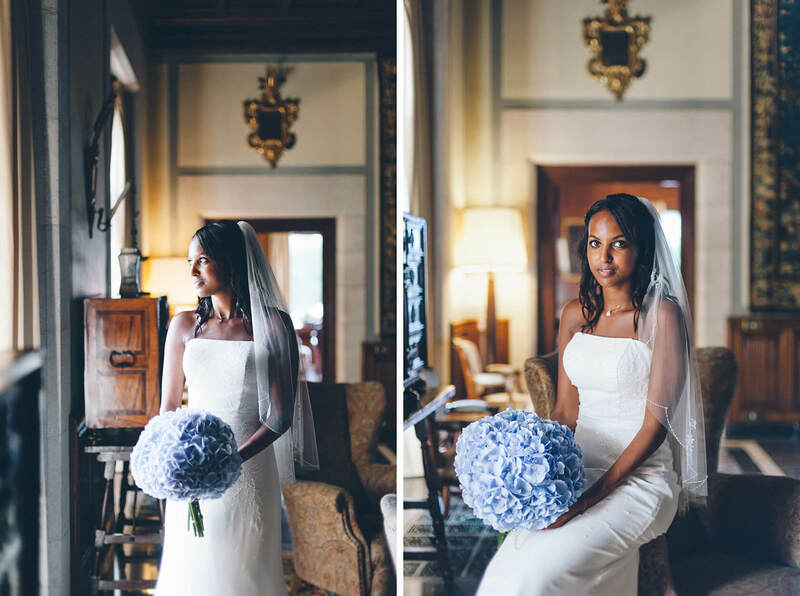 This is a good example of our “Boda Half Day” package where we capture ceremony, photo session and dinner. 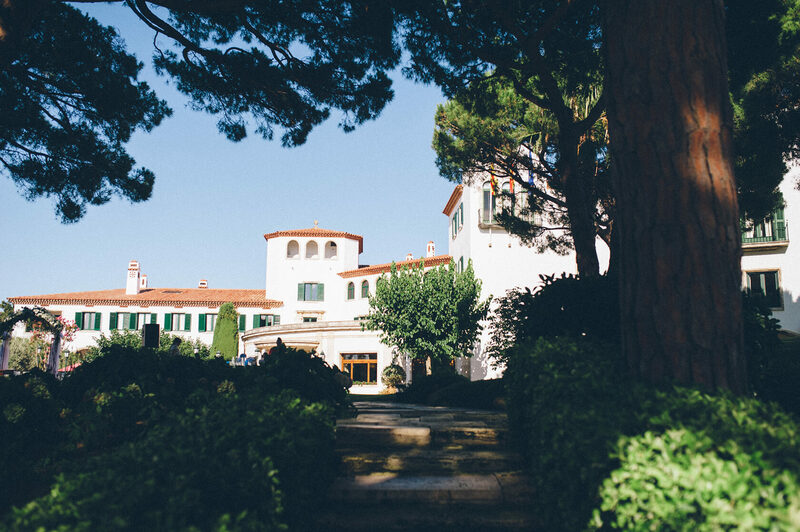 Five hour package is a good compromise between the other two packages we offer at Fotografía Sitges if you don’t want to go all the way. 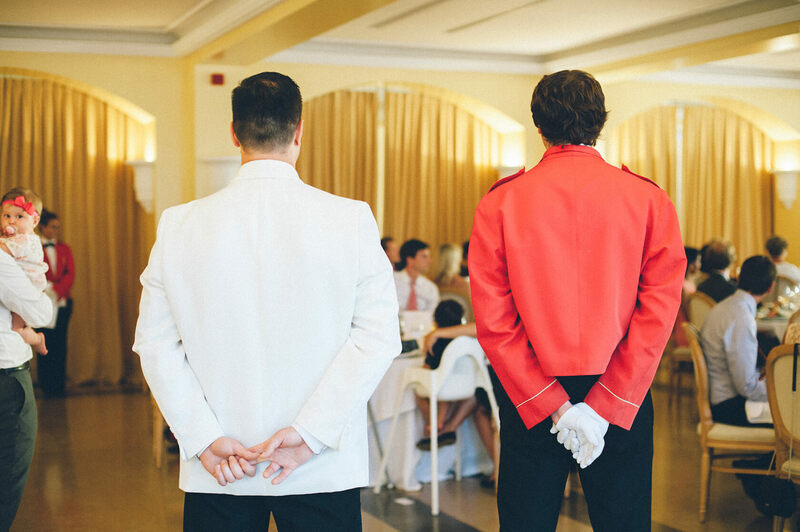 The toast master received us at the hotel’s lobby while the rest of the guests started showing up and greeting each other. 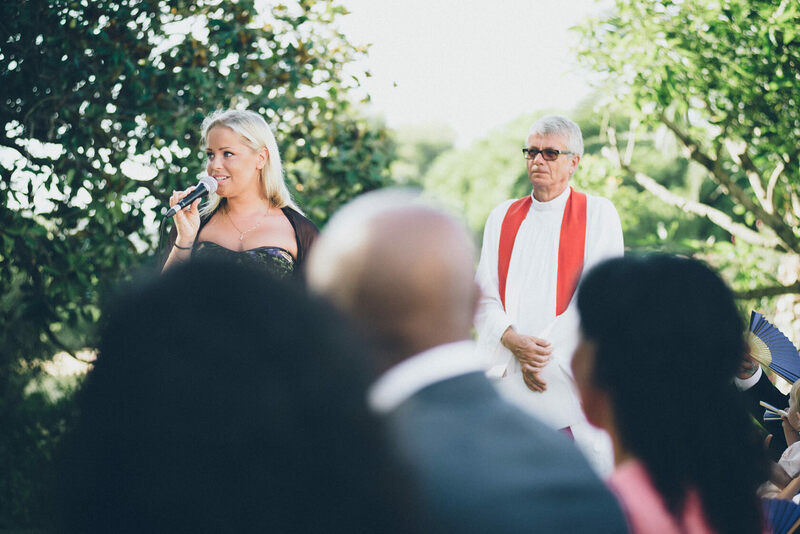 We didn’t get to se the bride until right before the ceremony. 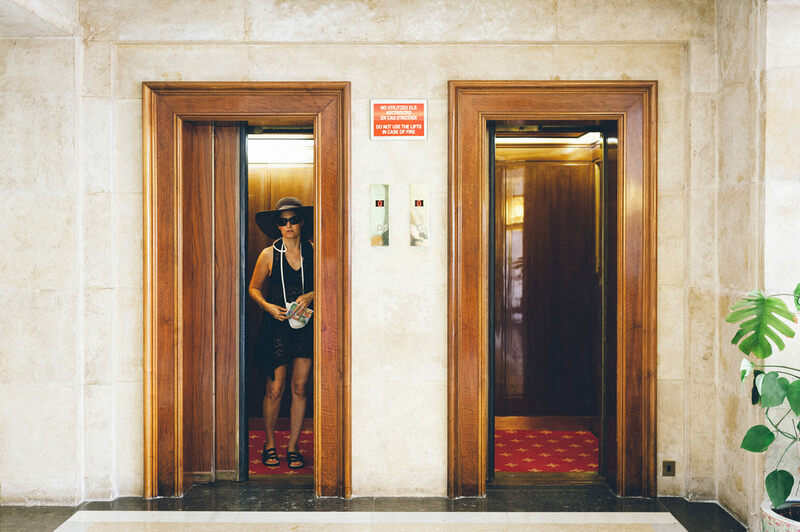 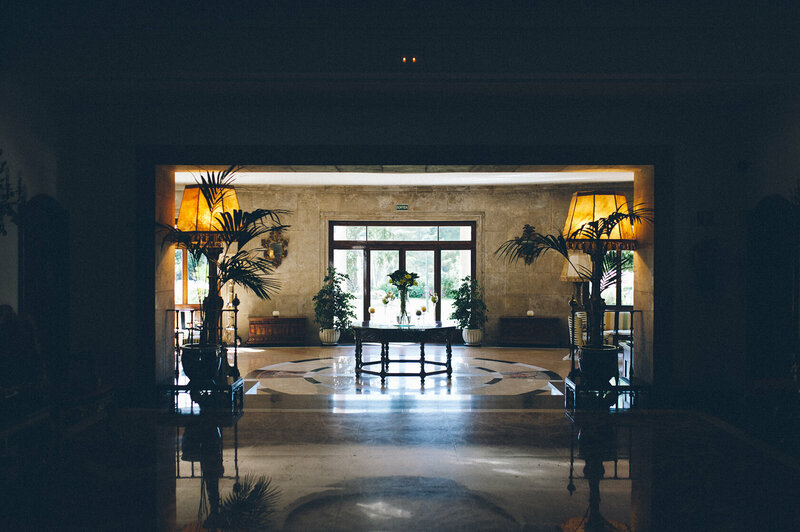 This gave us time to wander around the hotel photographing its many stances and super authentic decoration. 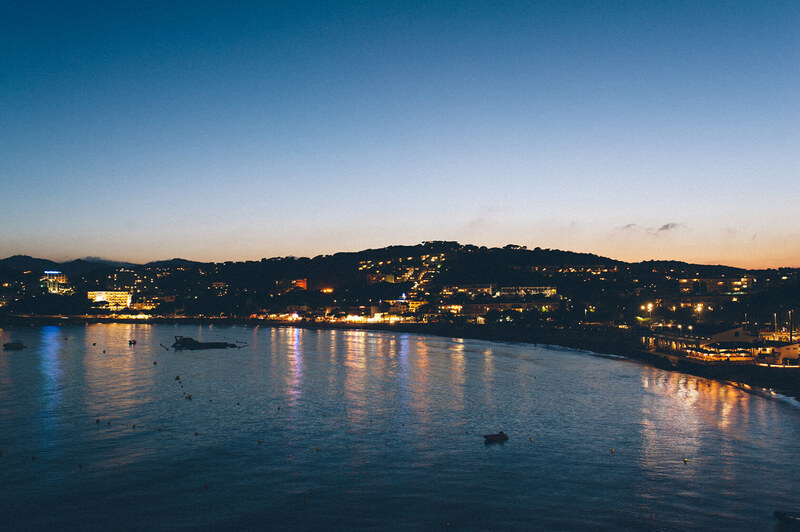 There is a beautiful walk you can take bordering the coast. 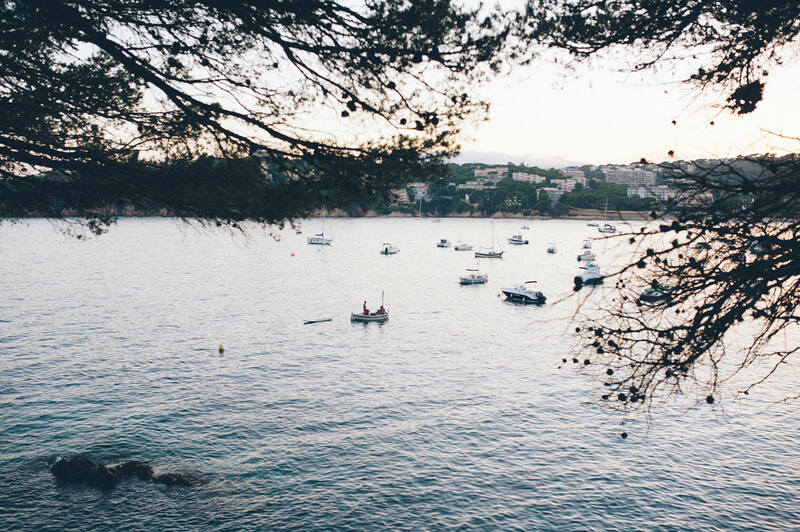 You have the characteristic mediterranean pines to one side and fishermen boats to the opposite side. 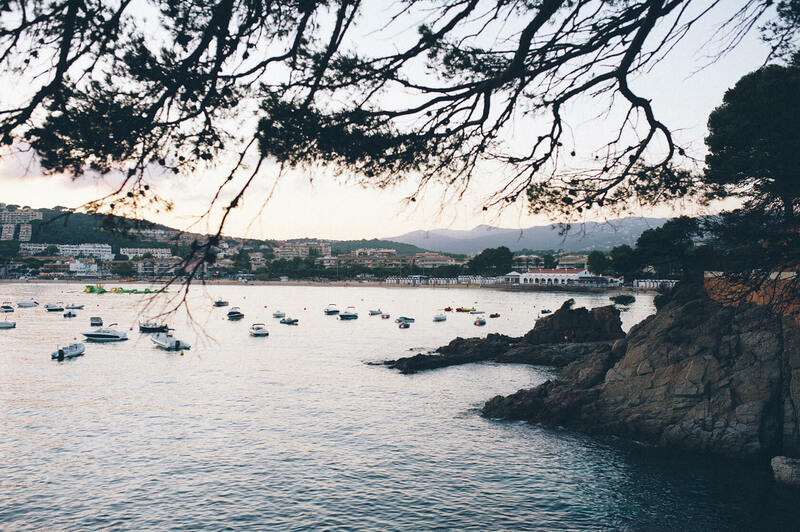 Costa Brava is the true mediterranean experience. 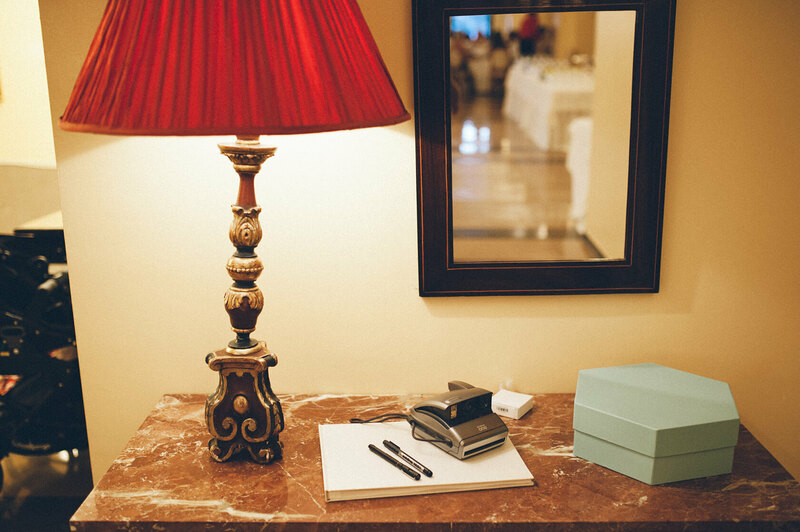 We encourage you to give it a try.